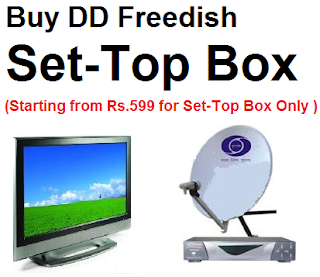 be received in Laptop, tablets, Fixed TV and TV receivers and T2 Radio Receivers in fixed and in moving vehicles. The coverage area of DTT depends on Transmitter RF Parameters and terrain condition around the Transmitter site and receiving site. Generally DTT signal with 6 kW RF Power will reach in a radius of about 70 Kms around the Transmitter. 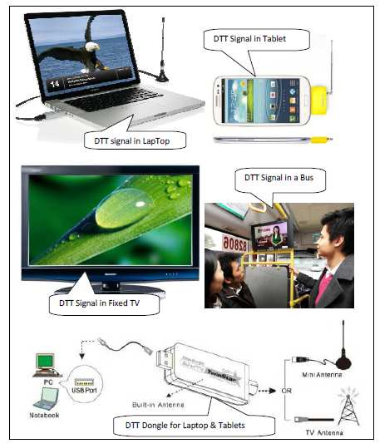 Note: The STB for DVB T2 is different from cable TV DVB T2 Set-Top Box, which should be capable to decode MPEG 4 signals.